In a departure from many of the other recent Core cases (x1, x2, x9), the Core x71 has a more standard vertical motherboard orientation. This allows for the use of large radiators in the front, up to a 480mm (4 x 120mm) or 420mm (3 x 140mm) radiators to be exact. Radiators aren’t just limited to the front either, there is room for up to a 360mm (3 x 120mm) radiator in the top, and bottom sections as well. Fitting a 360mm radiator in the bottom fills the space up quite nicely, but this space can also be used to mount up to a 280mm radiator on the floor, or has space for mounting a power supply and the hard drive cage as well. 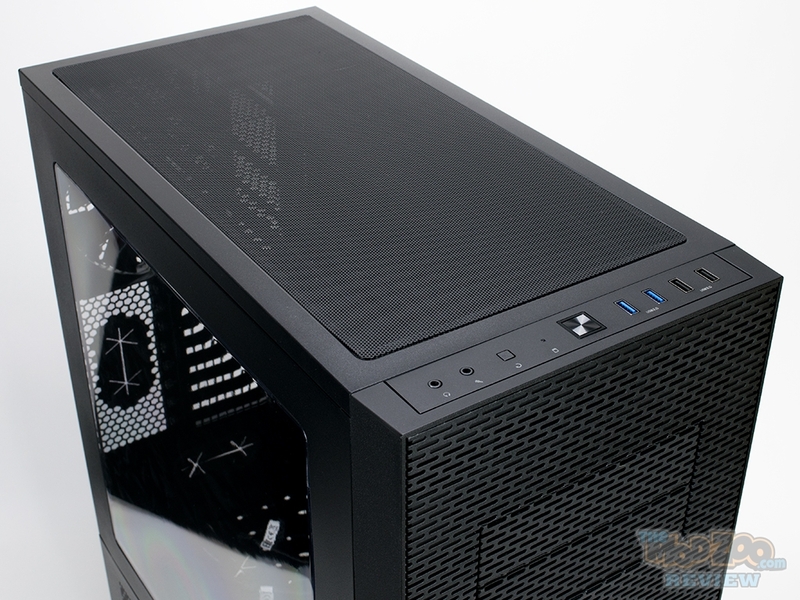 Featuring mounting slots and being able to accommodate 120mm, 140mm and even 200mm fans on the front and top, the air cooling options are also fantastic for this case as well. Thermaltake have also included two (2) of their blue Riing LED fans with the Core x71, which is a nice little extra.